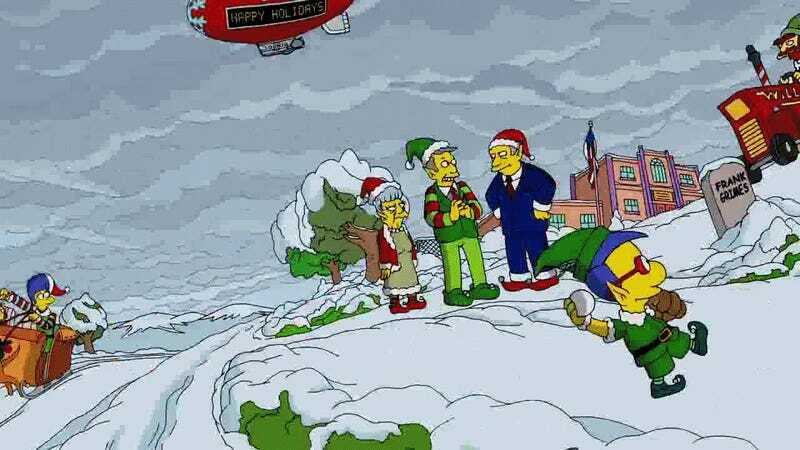 Last Sunday's episode of The Simpsons was the Christmas episode because that show apparently understand calendars. 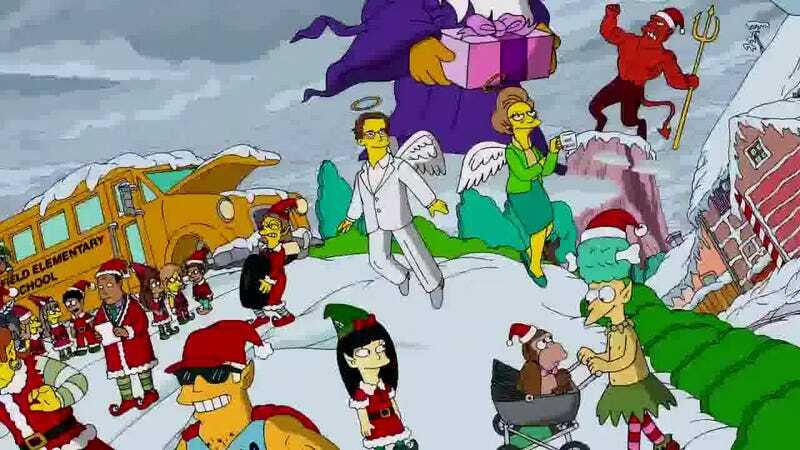 They did a holiday themed couch gag that paid tribute to two members of the show who have passed away. Everyone recognizes Edna Krabappel who was voiced by Marcia Wallace. Wallace died in October at the age of 70. Next to her is Don Payne, a writer and producer on the show who lost a battle with bone cancer in May of this year. Payne also co-wrote Thor and Thor: The Dark World.